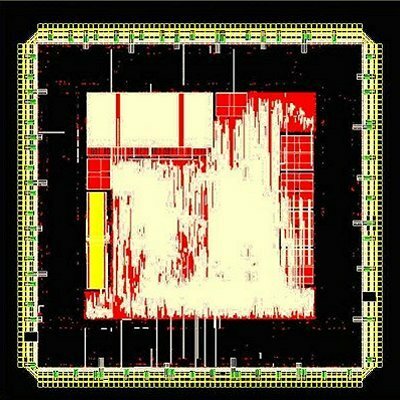 The fault-tolerance in LEON3FT is implemented using ECC coding of all on-chip RAM blocks. The ECC codes are adapted to the type of RAM blocks that are available for a given target technology, and to the type of data that is stored in the RAM blocks. The general scheme is to be able to detect and correct up to four errors per 32-bit RAM word. In RAM blocks where the data is mirrored in a secondary memory area (e.g. cache memories), the ECC codes are tuned for error-detection only. A correction cycle consists then of reloading the faulty data from the mirror location. In the cache memories, this equals to an invalidation of the faulty cache line and a cache line reload from main memory. In RAM blocks where no secondary copy of the data is available (e.g. register file), the ECC codes are tuned for both error-detection and correction. The focus is placed on fast encoding/decoding times rather than minimizing the number of ECC bits. This approach ensures that the FT logic does not affect the timing and performance of the processor, and that LEON3FT can reach the same maximum frequency as the standard non-FT LEON3. The ECC encoding/decoding is done in the LEON3FT pipeline in parallel with normal operation, and a correction cycle is fully transparent to the software without affecting the instruction timing. The ECC protection of RAM blocks is not limited to the LEON3FT processor. 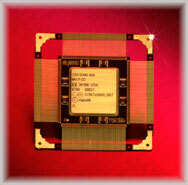 In a SOC design based on LEON3FT, any IP core using block RAM will have the RAM protected in a similar manner. This includes for instance the FIFOs in the SpaceWire IP core (GRSWP) and the buffer RAM in the CAN-2.0 IP core (CAN_OC). NASA's Microwave Anisotropy Probe (MAP), (launched in June 2001) --- Main flight computer similar to that on EO-1. NASA's New Horizons spacecraft --- Two computer system, the Command and Data Handling system and the Guidance and Control processor. Each of the two systems is duplicated for redundancy, giving a total of four computers. Speer, D. and G. Jackson and D. Raphael, "Flight Computer Design for the Space Technology 5 (ST-5) Mission," Proceedings of the 2002 IEEE Aerospace Conference, Big Sky, MT, March 2002.